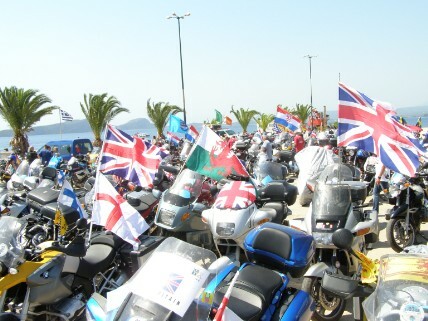 Welcome to the website of FIM Team GB, the online home for information about the forthcoming FIM touring events. These events are held in different countries each year under the direction of the Leisure and Touring Commission of the FIM, the world governing body of motorcycle sport. Over the next pages you will find details of the latest events, including the new Mototour. So, what's it all about? Only have a week or two's holiday? Want to travel independently and make your way to a motorcycling event abroad? Want to meet new motorcycling friends from different countries? Want to meet up with like-minded touring Brits? Need to know more about FIM Events? Then browse through the site to take to you more information. Or come and meet us at our Rendez-vous!